Fleming H. Revell Company, 9780800728755, 416pp. Joanna Davidson Politano freelances for a small nonfiction publisher but spends much of her time spinning tales that capture the colorful, exquisite details in ordinary lives. 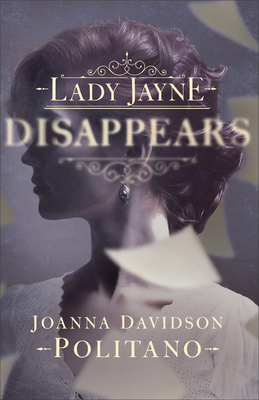 Her manuscript for Lady Jayne Disappears was a finalist for several contests, including the 2016 Genesis Award from ACFW, and won the OCW Cascade Award and the Maggie Award for Excellence. She is always on the hunt for random acts of kindness, people willing to share their deepest secrets with a stranger, and hidden stashes of sweets. She lives with her husband and their two babies in a house in the woods near Lake Michigan and shares stories that move her at www.jdpstories.com.